Many people tried in many ways to find out Australia. 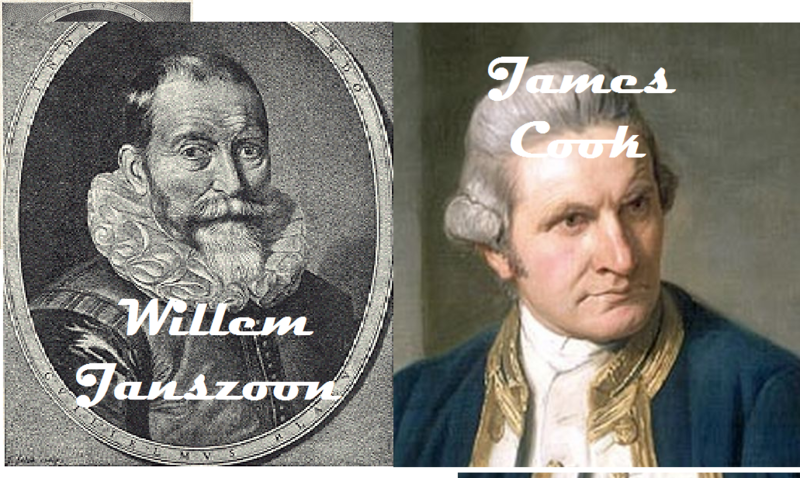 But the name we hear most is James Cook. Royal Navy lieutenant James Cook discovered Australia in 1770. But there are written evidences that Australia was discovered 164 years earlier than 1770. Even before English people settled in Australia, many people tried to discover Australia (before James Cook) and continued later on also. An employee of Dutch East India Company William Janszoon is said to be the first person to keep his foot on Australia, according to the history. There are also evidences that a Spanish employee has seen Australia in 1605. As per the orders of higher authorities to discover New Guinea shore for business opportunities, Janszoon began his journey in search of New Guinea in a ship called Duyfcen on 18th November, 1605. While crossing Arafura Sea, he did not observe the Torres Strait which separates Australia and New Guinea. He landed on west shore of Cape York in Queensland on 26th February 1606. And so he was considered the first European to land on Australia. He travelled 320 kms during his journey. He though this place as an extension of New Guinea. 10 of his colleagues died in clashes with the local people. Later Janszoon returned to Netherlands. As he thought that the place he discovered is an extension of New Guinea Dutch maps reproduced this error for many years. He remained in history as the first European known to have landed on Australia.